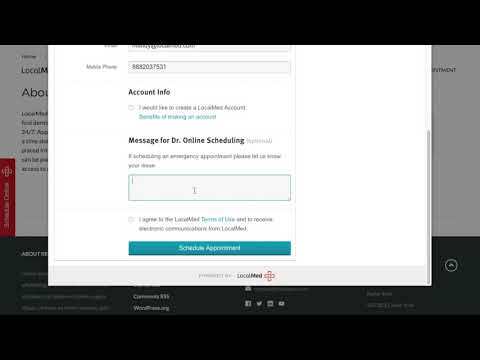 LocalMed (Connect) is an online appointment scheduling platform specifically targeting dental care providers marketing practice services online. Promising to improve business visibility and market more effectively to new patients, the system independently covers a growing list of major US cities. Patients can then more conveniently locate LocalMed's appointment booking capabilities regardless of online point of entry, whether via Google, social media or the provider's existing practice website. The system also claims to be responsively compatible with any web-enabled device, giving patients anywhere anytime access irrespective of surgery office opening hours. Integration support for leading industry-standard practice management systems (PMS) also tightly couples LocalMed to established rules. Unique practice scheduling can be reflected exactly thanks to customizable filters, while real time bi-directional read/write capabilities claim to eliminate the prospect of double bookings that might normally require costly manual follow-up calls to resolve. Additional notable features include customizable reminder options that sync scheduled appointments to calendar, while LocalMed follows data encryption standards to be certified as HIPAA-compliant. There are currently no reviews of LocalMed. Contact LocalMed directly for a price quote. LocalMed (Connect) is a dental appointment scheduling platform that is agnostic of any one practice, but offers growing coverage across major US cities for connecting patients with local dentists online. The platform promises to connect practices to new patients by marketing appointment booking features through every online channel, working via surgery website, Google, popular social media and any associated insurance / product partners. Unique practice scheduling rules can be mirrored with customizable filters that transform the online appointment booking widget to reflect that of the office practice management system. Direct integration with existing practice management software allows LocalMed to read and write appointment bookings bi-directionally and in real time to eliminate the risk of double bookings. Supported practice management systems include Dentrix, Dentrix Enterprise, Eaglesoft, Opendental and SoftDent. Below are some frequently asked questions for LocalMed. Q. What type of pricing plans does LocalMed offer? Q. Who are the typical users of LocalMed? Q. What languages does LocalMed support? Q. Does LocalMed support mobile devices? Q. Does LocalMed offer an API? No, LocalMed does not have an API available. Q. What other apps does LocalMed integrate with? Q. What level of support does LocalMed offer?